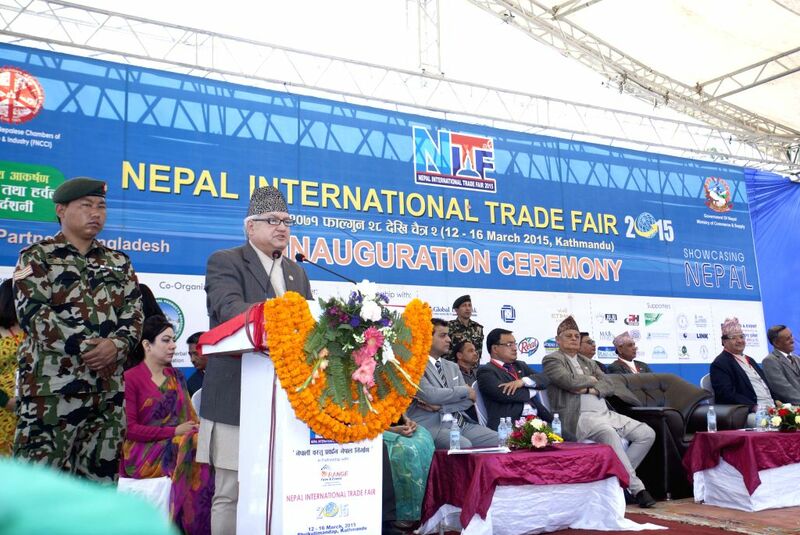 KATHMANDU, March 12, 2015 - Nepal's Minister of Commerce and Supplies Sunil Bahadur Thapa addresses the inauguration ceremony of the Nepal International Trade Fair in Kathmandu, Nepal, March 12, 2015. People visit a stall of Chinese Pavilion during the 4th Nepal International Trade Fair in Kathmandu, Nepal, March 12, 2015. 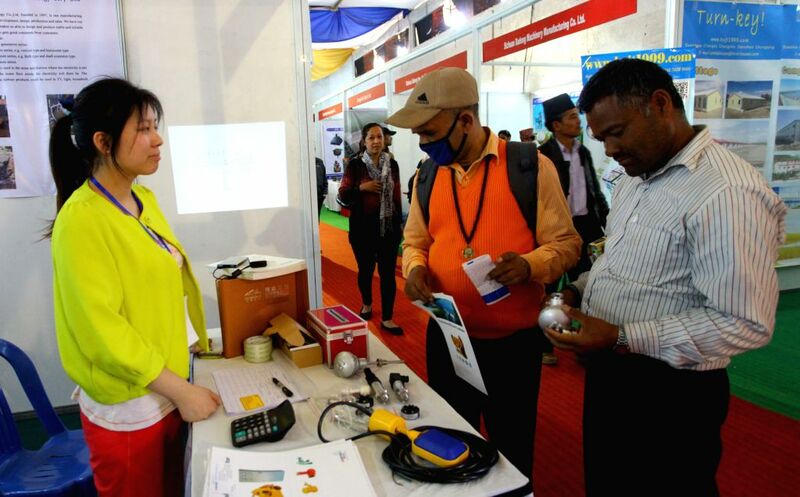 The 4th Nepal International Trade Fair organized by Federation of Nepalese Chambers of Commerce kicked off here on Thursday.